There's nothing like GREAT fashion news to start off your week. Our wallet savvy and stylish friends at Target have granted our wishes with the announcement of their latest collaboration..... FEED For Target. Philanthropist, model and style maven Lauren Bush has worked tirelessly with her FEED project since 2005. The creation of the iconic burlap reversible bag has provided over $6 million dollars to fight hunger and eliminate malnutrition throughout the world. 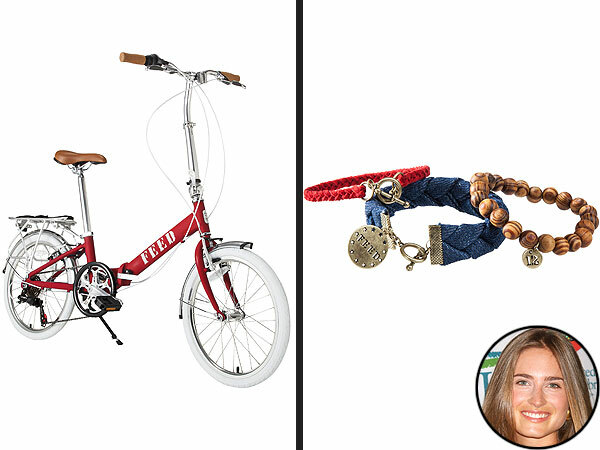 The 50+ item collection launches June 30th and will include a collapsible bike and "Americana" bracelets (shown above) with a price tag of $3-$400. Will you be shopping?